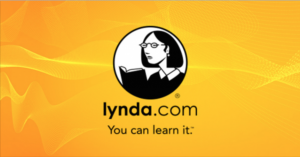 Did you know…you can access thousands of instructional videos on a wide range of software, creative, and business skills through the lynda.com online training library. You are invited to join lynda.com for a 45 minute webinar to explore the structure of lynda, search courses and build playlists, share your certificates of completion plus a Q&A on Thursday, April 23 at 3 times: 7 to 8 a.m. PT / 10 to 11 a.m. ET, 9 to 10 a.m. PT / Noon to 1 p.m. ET and 4 p.m. to 5 p.m. PT / 7 to 8 p.m. ET. Click here to register. All registrants are provided with a recording of the session after the event so even if you can’t attend live, register to get a link to the recording after the session! Missed the webinar “lyndaCampus Arrives @ Duke!” presented by Laurie Burruss, Education Consultant with lynda.com? Watch the session recording. Below are the sessions slides and the resources mentioned. Missed last week’s Microsoft SQL Server 2012 Webinar presented by Global Knowledge? Watch the online recording. Join Ben Watson & Linde Skinner (Global Knowledge) for a free webinar on Microsoft SQL Server 2012 as well as information on the additional training being offered through Global Knowledge. Microsof t SQL Server 2012, What’s New? This webinar will be recorded and available at sites.duke.edu/training after the session.